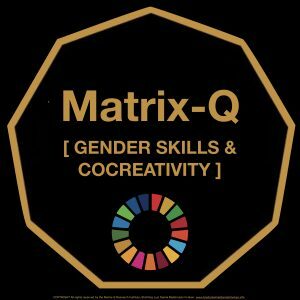 The Matrix-Q Research Institute suggests a necessary long and paced stable process of transformation and inclusion, change management, starting with skills, and adding value through human capital enhancement, to acquisition of knowledge and tools; but as well through changing process and organization settings. Once the complete reality of the individuals involved into collaboration has been acknowledged necessary changes would beed to be implemented. The management of time, free time (regeneration time), learning time and collaboration process. By for example synch. 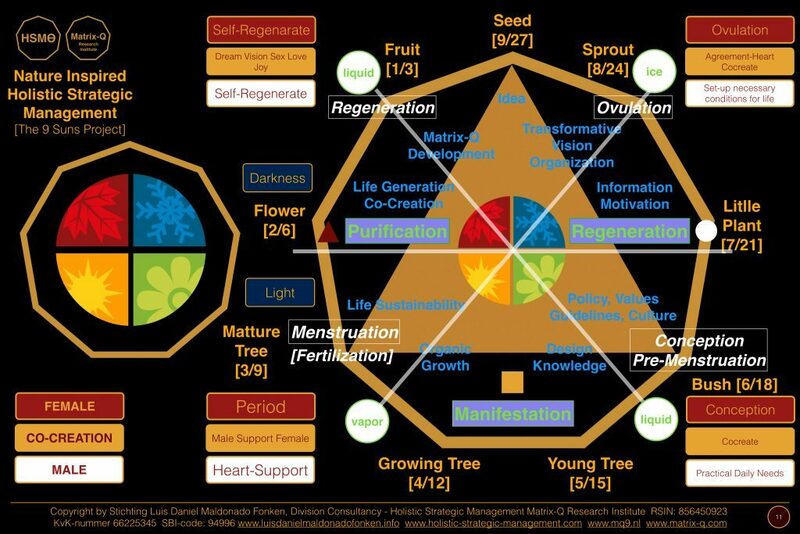 of the business cycle to the seasons and hormonal/ovulation cycle. See chart below. Which will suggests for the organization a precise set of activities and focus developed along a rhythmic process and stages. The same approach should be valid for individuals, for which the organization may provide freedom to choose free time dedicated to self-regeneration, at a particular stage of their hormonal shifts cycle. Male and female following the wisdom of the following chart, may, if able to develop the skills necessary and utilize the tools that enhance their effectiveness, would a more successful, harmonious, healthy and successful living. Ever stage and aspect of the chart above need to be implemented carefully and wisely, as any change or adjustment made in an organization without the necessary tools, knowledge and skills, and assessment of case, may result on detrimental consequences for the business or organization.